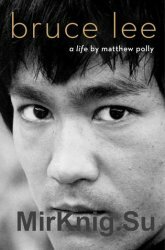 Forty-five years after Bruce Lee’s sudden death at age thirty-two, journalist and bestselling author Matthew Polly has writtenthedefinitive account of Lee’s life. It’s also one of theonlyaccounts; incredibly, there has never been an authoritative biography of Lee. Following a decade of research that included conducting more than one hundred interviews with Lee’s family, friends, business associates, and even the actress in whose bed Lee died, Polly has constructed a complex, humane portrait of the icon.